Brooklyn Sanctuary supports a greater diversity of wildlife than any other single property in Australia. It protects an incredible variety of habitat types, from mountainous rainforest to open grassy woodland. 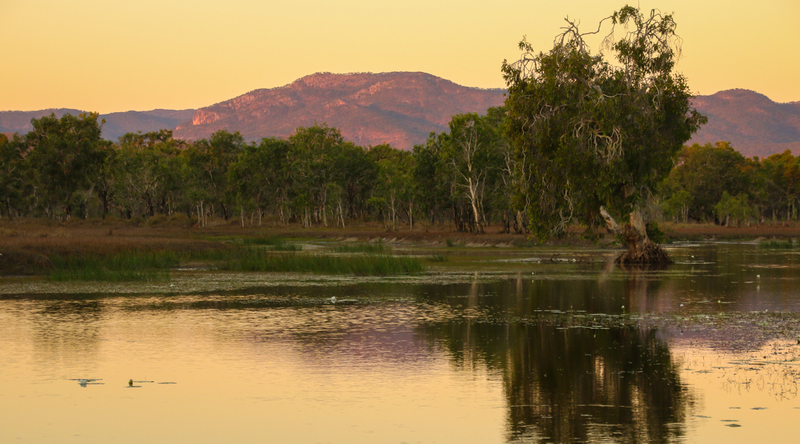 The property contains World Heritage listed habitats, emphasising its international significance and immense value to the conservation of Australia’s wildlife. 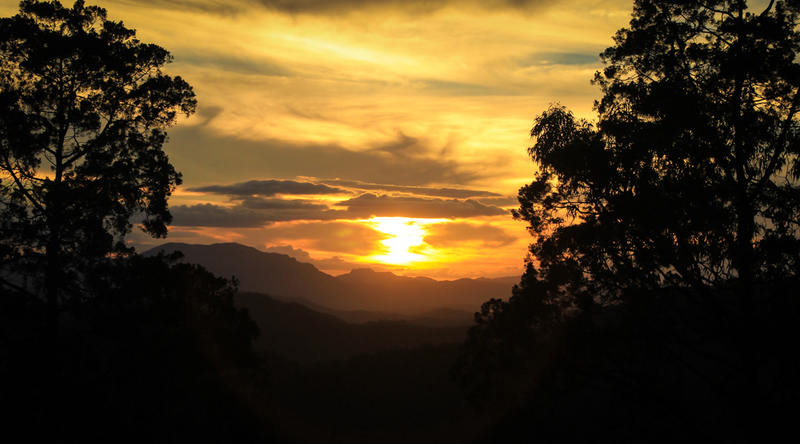 Brooklyn Wildlife Sanctuary lies in far north Queensland, spanning a range of habitat types and topography: from a wall of mountains reaching the edge of the Daintree rainforests in the east, to the open floodplains of the Mitchell River in the west. 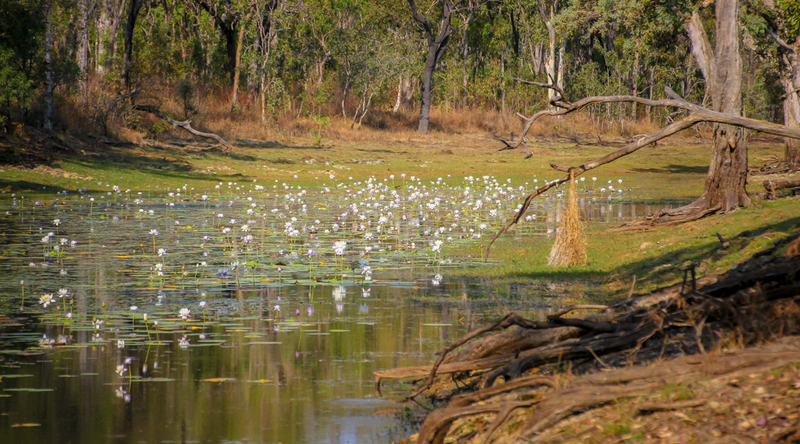 The river, flanked by melaleucas and red gums, runs through Brooklyn for more than 40km, before continuing on to the Gulf of Carpentaria. 40% of Australia’s bird species and 30% of Australia’s mammals can be found on the property, giving it immense conservation value. The level of species and ecosystem diversity on Brooklyn reflects a broad range of topography and a steep rainfall gradient across the property. 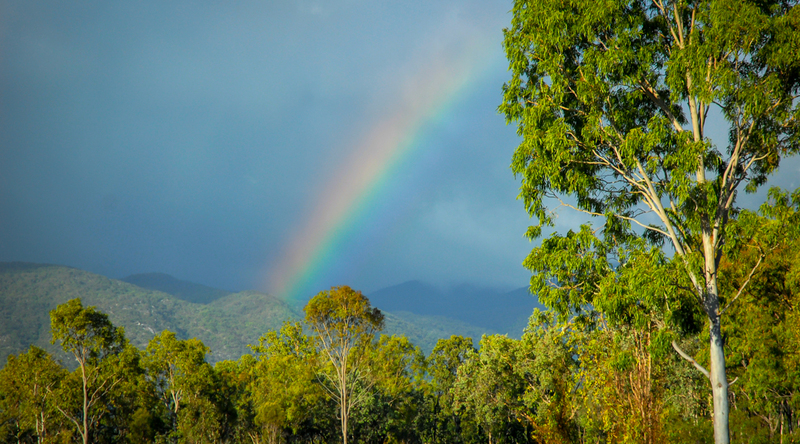 Cloud-capped mountains dominate the eastern section, rising to over 1,000m and receiving an average rainfall of over 4,000mm, which gives rise to some of Australia’s richest rainforest communities. 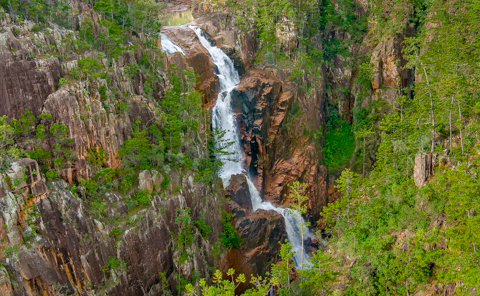 Around 4,000 hectares of Brooklyn is part of the World Heritage Listed Wet Tropics Bioregion – the largest area of privately owned world heritage on mainland Australia. 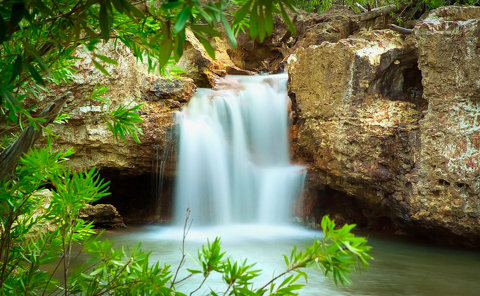 The moisture from these rainforests feeds streams which travel through gorges and waterfalls to the foot of the ranges. Rainforest on the mountain heights gives way to wet sclerophyll forest down the western slope. Tall eucalypt woodlands skirt the foothills and as rainfall drops off quickly further to the west, open grassy woodlands dominate. 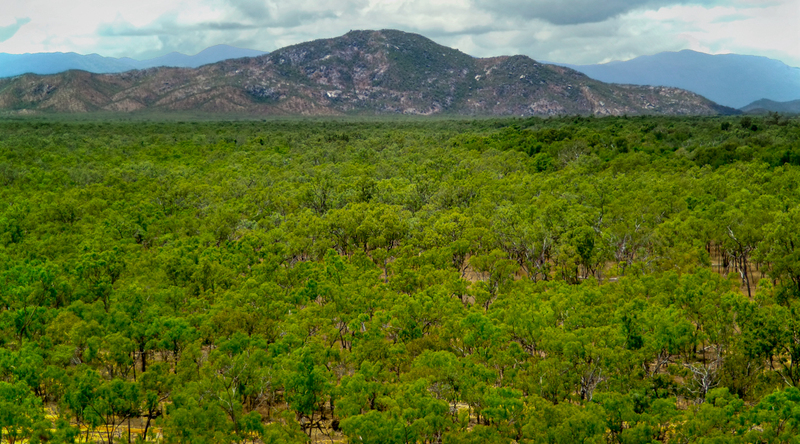 This is the wide floodplain of the Mitchell River, punctuated by a series of granite and metamorphic hills, billabongs, mound springs and lagoons. Here, down at 300 metres altitude, the annual rainfall is just 900 mm. Detailed mapping by AWC botanists has revealed 137 distinct vegetation types on the property. Nearly 1,500 species of native plants have been identified so far (with more expected following surveys of high altitude orchids and ferns), including 37 threatened species. Granite soils support numerous rainforest types, some with distinctive Bunya Pines towering above the canopy. In the tall eucalypt forests are Rose Gum and Red Stringybark (an important food tree for the threatened Yellow Bellied Glider), and lower down in drier country the plains are dominated by Box and Ironbark woodland. Brooklyn Wildlife Sanctuary contains an extraordinary concentration of wildlife, and provides a refuge for more than 30 species that are threatened with extinction. The 86 mammal species on the property include many that are restricted to particular rainforest types in the region like the Lumholtz Tree Kangaroo, Musky Rat Kangaroo and three species of mountain ringtail possum. 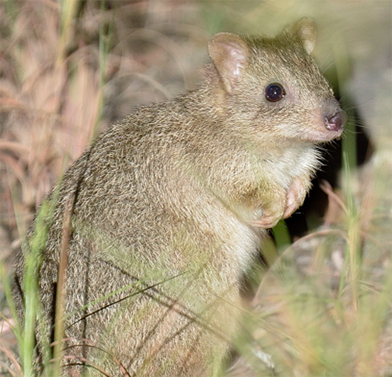 Sheltering on the mountain slopes and foothills are species that have declined elsewhere, including both the Northern Quoll and Spotted-tailed Quoll, and two species of rock wallaby. 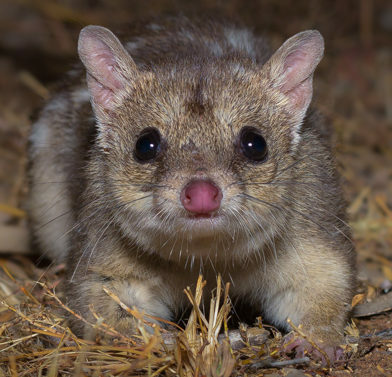 An entirely different suite of mammals inhabit the drier open woodlands including the elusive Spectacled Hare-wallaby and Rufous Bettong, two (possibly three) species of bandicoot, pygmy possums, gliders and several Antechinus species. Brooklyn’s enormous variety of birds – an exceptional 299 species – includes 14 threatened species, ranging from the Southern Cassowary (Australia’s heaviest bird) to the diminutive Blue-Faced Parrot Finch. 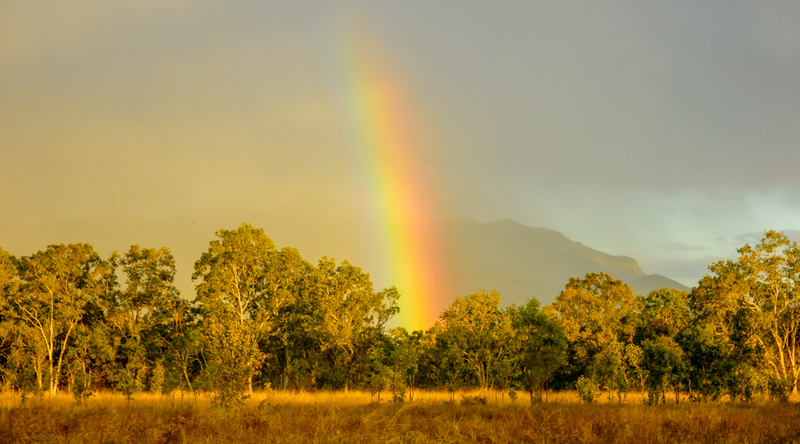 Wet tropics endemics include the Golden Bowerbird, Chowchilla, Atherton Scrubwren and Pied Monarch. 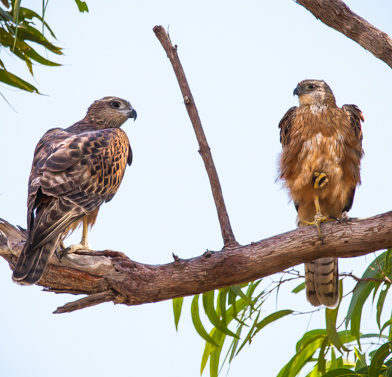 The Red Goshawk, Australia’s rarest bird of prey, breeds on the sanctuary. The reptiles and frogs found at Brooklyn are similarly diverse, with about 20% of Australia’s frog species represented. Several of the frog species are restricted to the wetter mountains including the Mountain Top Nursery Frog and Hosmer’s Frog, and species threatened by the chytrid fungus (such as the Creek Frog and Torrent Tree Frog) find refuge in Brooklyn’s high elevation habitats. Land management at Brooklyn is relatively complex due to the mix of ecosystems with different requirements and responses. Fire management is crucial to the field program, as well as ongoing control of weeds and feral herbivores. The Mitchell River and its floodplain made Brooklyn a viable cattle station, and prior to acquisition by AWC, there was little prescribed burning on the property. 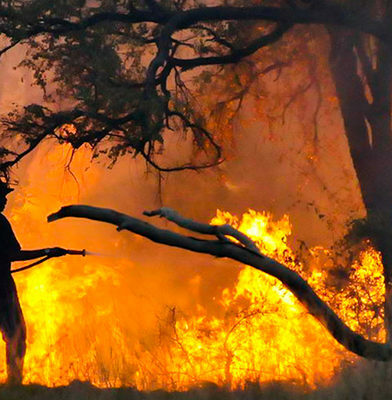 This resulted in a regime of late dry season wildfires across large parts of sanctuary, while heavily grazed flats were rarely burnt, facilitating invasion by rubber vine. 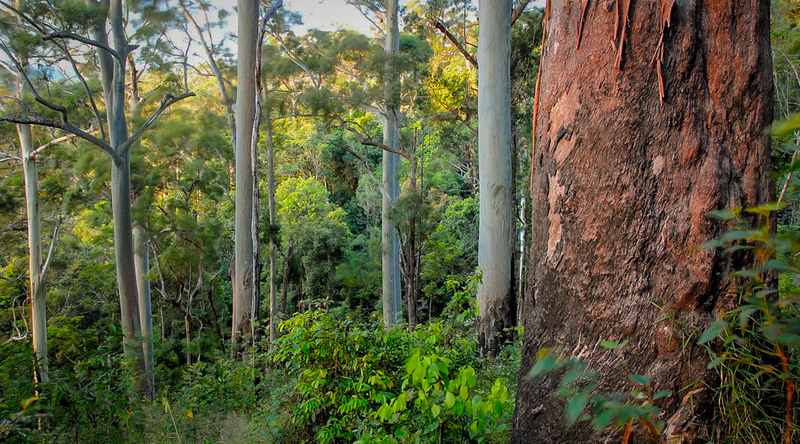 A lack of regular fire in tall eucalypt forests on the margins of rainforest led to woody thickening, invasion of rainforest plants and loss of the grassy ground cover. AWC’s prescribed burning regime (delivered through a mix of aerial incendiary operations and ground-based burning) is helping to re-establish a mosaic of burnt and unburnt vegetation, restore a regular fire pattern in wet sclerophyll forests, and protect fire-sensitive rainforests from hot fires. 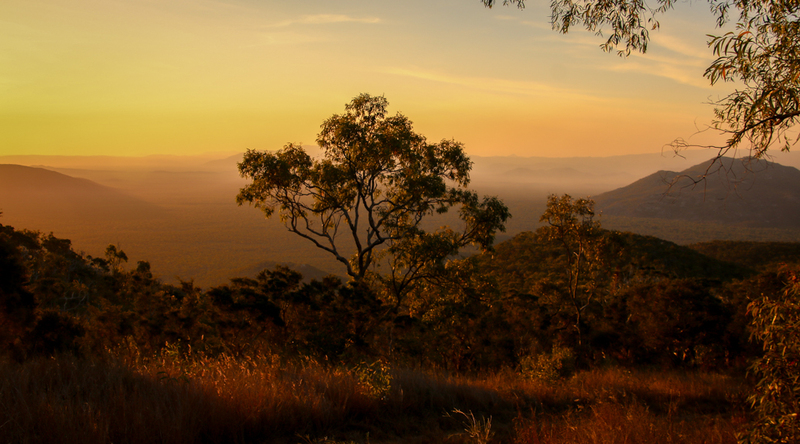 AWC also coordinated the design and delivery of a regional fire management plan for the Upper Mitchell River Catchment region, covering multiple tenures (pastoral, indigenous, conservation) across 600,000 hectares. 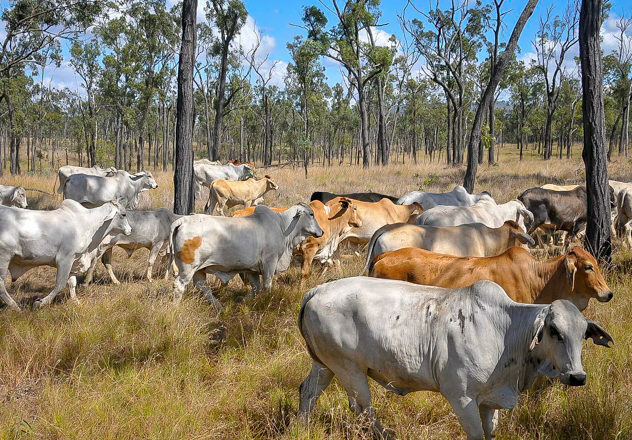 Feral cattle, horses and pigs are significant land management challenges at Brooklyn. They are managed primarily by mustering and trapping, with over 800 removed from the property each year. Feral pigs are excluded from wetland areas by mesh fencing, and approximately 30km of fencing excludes cattle from both the Mitchell and McLeod Rivers. Due to ongoing control efforts and the construction of exclusion fences, the number of feral herbivores mustered from the property in recent years has dropped dramatically. AWC’s weed management strategy is focused on specific controls for species with a significant environmental impact. Rubber vine and grader grass are two of the more serious weeds on the Mitchell River alluvial flats, both of which are being controlled by carefully designed fire regimes. Other species are treated with herbicides, or simply dug out. The population of feral cats on Brooklyn sanctuary is being monitored to assess the level of threat, so that control programs can be implemented accordingly. 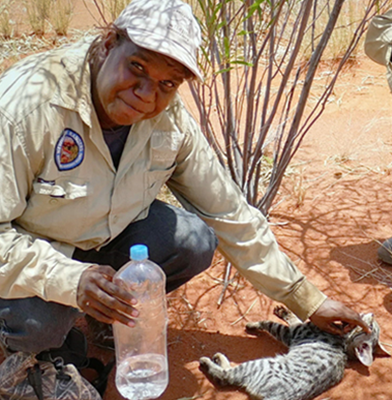 Cats present a major threat to wildlife, particularly in more open areas. AWC research has shown that they focus on the edge of firescars and heavily grazed areas, so part of the strategy is to protect ground cover by reducing the impact of wildfires and feral herbivores. Like all AWC properties, scientific research forms the basis of our land management at Brooklyn. 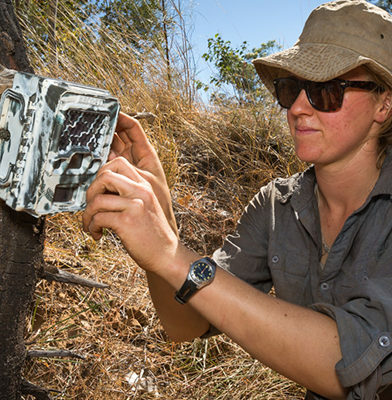 Our science team regularly measures a suite of ecological health indicators through trapping and camera trapping, vegetation surveys, and aerial surveys. 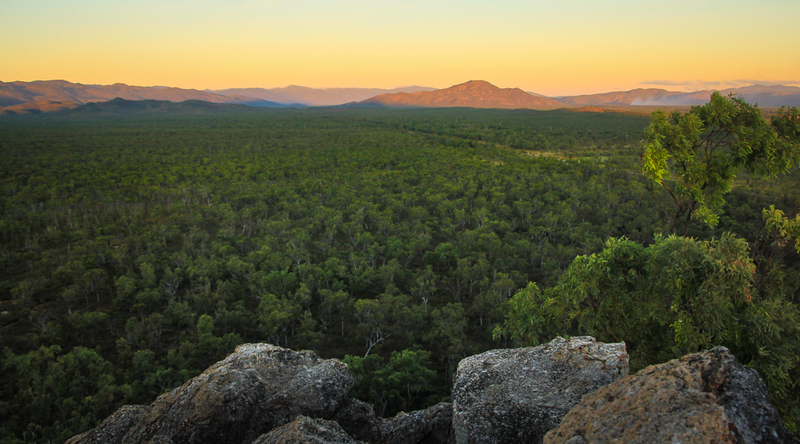 More specific research is investigating the use of fire to maintain the structure and composition of wet sclerophyll forest, the importance of termite and fungi for the breakdown of wood in current and future climate scenarios, and the distribution, habitat use and abundance of Northern Quolls and Spotted-tailed Quolls. 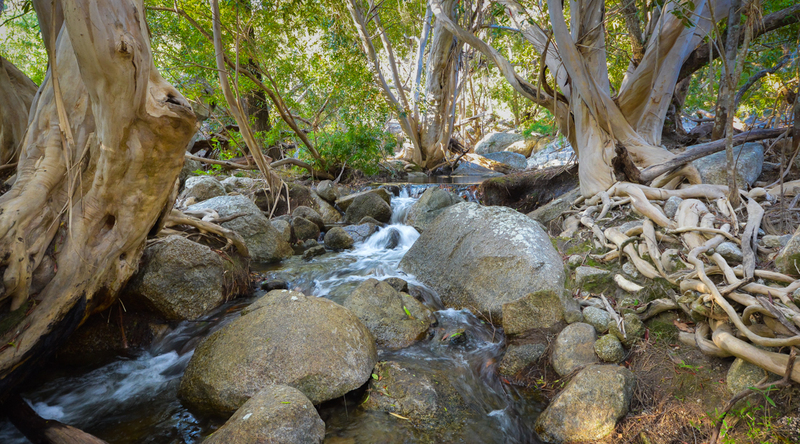 Brooklyn’s landscape and wildlife diversity has attracted considerable research interest from the CSIRO and universities interested in tropical ecology including the response of wildlife to climate change. The major threats to wildlife on Brooklyn are due to its long history of pastoral use as a cattle station, which involved heavy grazing and a pattern of destructive late season wildfires. This facilitated invasion by weeds, and the destruction of the understorey, crucial for small mammals as habitat and shelter from predators such as feral cats. AWC’s land management is working to restore and protect critical habitat types through a program of prescribed burning and removal of feral herbivores.